In June 2001, a special session of the Legislature passed House Bill 1003, creating the Utah College of Applied Technology (UCAT), the state’s tenth and newest institution of the Utah System of Higher Education under the State Board of Regents. Beginning September 1, 2001, nine former Applied Technology Centers and Service Regions were organized under the new Utah College of Applied Technology. In creating UCAT, the Legislature changed how the applied technology education entities are governed and organized, as well as their names. Five stand-alone Applied Technology Centers: Bridgerland in Logan, Davis in Kaysville, Ogden Weber in Ogden, Uintah Basin in Roosevelt, and Sevier Valley in Richfield (which had been merged with Snow College in 1999 as Snow College South, prior to being placed under UCAT in 2001). These centers had developed over a period of approximately 25-30 years, starting betweeen 1961 and 1982 as Area Vocational Centers and operating in state-owned facilities under the Utah State Board of Education. The AVCs were redesignated as Applied Technology Centers in 1992. Four applied technology center service regions: Mountainland in Orem, Southeast in Price/Blanding, Southwest in Cedar City/St. George, and Wasatch Front South in Salt Lake City. These entities had developed over the previous ten years and operated under the joint oversight of the State Board of Education and the State Board of Regents in public and/or higher education facilities or leased facilities..
Each of the former entities were designated “Applied Technology Colleges” (ATCs), campuses of UCAT. The previous Southwest region was divided into two new regions, bringing the total number of UCAT campuses to ten. The Dixie ATC was created to serve Washington County, and the Southwest ATC continued to serve Beaver, Iron, Garfield, and Kane counties..
At the creation of UCAT, Snow College South (the former Sevier Valley ATC) was designated the Central Applied Technology College (CATC), a UCAT campus. During the Utah Legislature’s 2003 General Session, House Bill 161 transferred CATC functions and responsibilities to Snow College and designated it Snow College-Richfield Campus, effective 7/1/03. In September 2002, UCAT received approval from the State Board of Regents to begin offering three Associate of Applied Technolog (AAT) degrees. 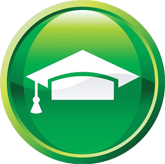 The AAT degrees, like other UCAT programs, are offered in an open-entry, open-exit, competency-based format, with general education coursework provided by credit-granting academc higher education institutions. The original approved degrees were in Computer Aided Design and Drafting, Informagtion Technology, and Medical Assisting. In September 2003, the Board of Regents approved forty Certificates of Completion — programs of one year or longer that had previously been offered separately by each of the campuses for many years but that, through extensive faculty collaboration between campuses, were documented and aligned as consistent programs of study. In 2007 the Legislature merged the Southeast ATC campus into the College of Eastern Utah, leaving the total number of UCAT campuses at eight. Between November 2005 and June 2007, the Council on Occupational Education granted full accreditation to each of the eight UCAT campuses, culminating four years of intensive self-study efforts by all of the campuses. UCAT is Utah’s resource for preparing the state’s 21st Century workforce, with eight applied technology college campuses providing opportunities for high-quality, statewide open-entry, open-exit, competency-based education. The eight applied technology college campuses are: Bridgerland, Davis, Dixie, Mountainland, Ogden-Weber, Salt Lake/Tooele, Southwest, and Uintah Basin.